As the angel choir withdrew into heaven, the shepherds talked it over. “Let’s get over to Bethlehem as fast as we can and see for ourselves what God has revealed to us.” They left, running, and found Mary and Joseph, and the baby Jesus lying in the manger. Seeing was believing. They told everyone they met what Gabriel had said about this baby. All who heard the shepherds were impressed. Download the story and sound effect key and read the Christmas story as a family! Waterbrook Multnomah has created three wonderful gift baskets to give away to readers! To enter to win this basket, please fill out the Rafflecopter forms found on Tricia Goyer’s blog, Sarah Sundin’s blog and Cara Putman’s Facebook page! USA Today best-selling author Tricia Goyer is the author of over 35 books, including the three-book Seven Brides for Seven Bachelors series and “Lead Your Family Like Jesus,” (co-written with Ken Blanchard). She has written over 500 articles for national publications and blogs for high traffic sites like TheBetterMom.com and MomLifeToday.com. She is the host of Living Inspired, a weekly radio show. Tricia and family live in Little Rock, Arkansas. They have six children. You can find out more about Tricia at www.TriciaGoyer.com. Great idea and it will get everyone involved. I love it when the church puts on a play of the Christmas story. This year we are having a live nativity Saturday evening. It will be a drive through. A lot of work has gone into making this possible. Inside the church we will have a display of different nativites the members are bringing in . We will be serving beverages, including hot chocolate and cookies. 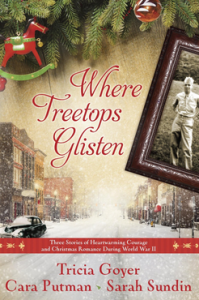 Where Tree Tops Glisten sounds like a must read. I love it that each story has the title of a Christmas song. Even the book title. One would not forget the book title while searching for it in the store. Have a Merry Christmas and enjoy your Christmas story. Shirley, I LOVE that idea!! SO special! 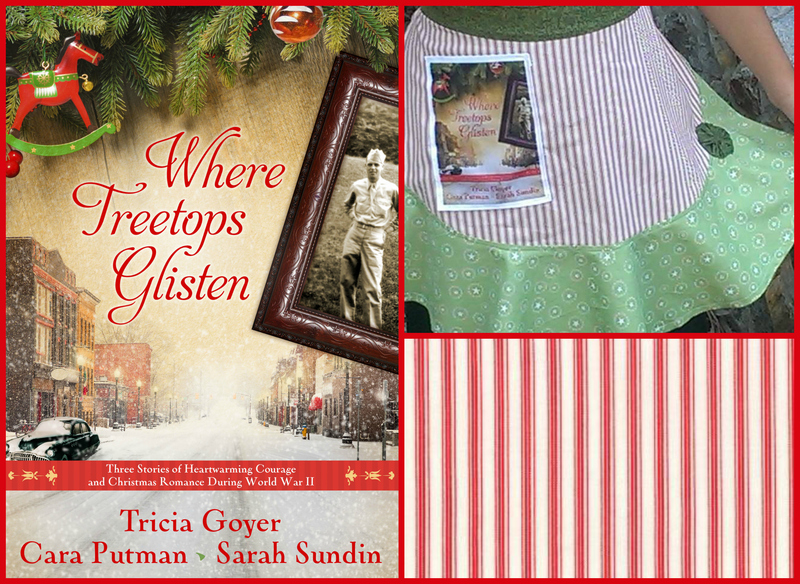 I hope you get a chance to read, Where Treetops Glisten! What a cute idea! And the printable is adorable!